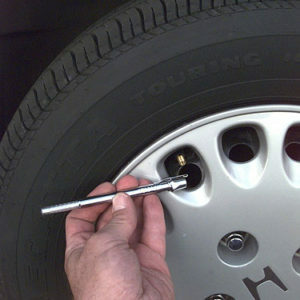 Just returned from Costco, where we had our tires checked and rotated. What a great service these guys provide. More on that in a bit. Approximately 6 months ago I went through a laborious task of trying to decide where I was going to buy a new set of tires for my car. I say laborious because I checked on web sites and over the phone for prices and service conditions. This took a bit of time to do and then I went to the two places that offered the best price for the tires and the best advertised service. My short list was America’s Tire, Walmart and Costco, all in Palm Springs, California. All three locations that I mentioned above met all of the requirements and prices were pretty close, but you get a much different feel about the place you are making your purchase from when you visit the location. My first visit was Walmart and although they actually had the best price, I was very disappointed with the service I received. Once you decide on the tires you are going to purchase, it is a simple thing to compare price, and service levels. However for the Walmart people I spoke to, this was difficult. They had a hard time getting a price for me and then when I asked them about tire rotation etc I drew a blank look. I really did not get a warm feeling about making a $600 purchase from some one who did not know what they were talking about. Crossed them off the list. It came down to America’s tire and Costco. There were really was nothing wrong with America’s tire other than the national and international coverage they provided. They were really only in the US and their stores were in various locations. Since we travel a great deal we had to rule them out although we really liked this store, their service level and the technicians knowledge. It came down to Costco who had a very good price on the tires and also offered after service for free Costco tire rotation, free Costco tire balancing and free tire checks of air pressure and condition of the tires. So enough of the background on why we chose Costco to purchase our tires. Yesterday we took the car into Costco in Palm Springs. There was no wait time. It was late on a Sunday afternoon and they were not that busy. All we had to do is to show our original receipt. They took the keys and made arrangements for the tire rotation to be done. Within half an hour the tire rotation was completed while we shopped in the Costco store. After making our purchases, we found our waiting at the entrance to the tire shop for us to pick up. My tires are filled with nitrogen and they topped this up as well so all in all this was a really good deal. In Canada, I would pay at least $100 for the same service, however I can take the car to a Costco in Canada and receive the same service. We are really satisfied with our decision to buy cars from Costco! If you have had a similar experience, let us and our readers know by leaving a comment. This is a really great deal and really great service.